Does the idea of doing something adventurous give you a rush? 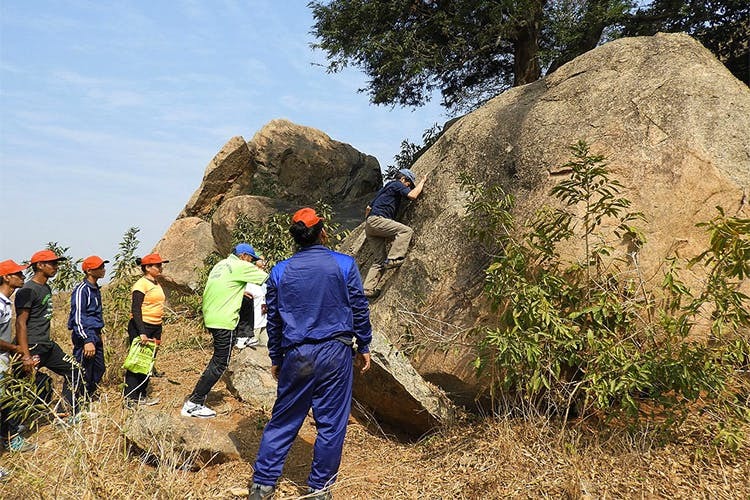 If yes, you’ve gotta go for a challenging round of rock climbing at the Aravalli Biodiversity Park. The Aravalli Biodiversity Park is known for being home to greenery and is the place you should visit when you want a break from the modern life to surround yourself with nature. In addition, if you’re someone who loves adventure, you’re going to love their rock climbing arrangement. You’ll feel the thrill as you climb the 70 foot high rock. But don’t you worry at all because there will be proper gear in place. They will provide you with safety gear, ropes and there will be an instructor present as well. All of it comes together to make for a very interesting adventure. If you’ve been looking for the perfect adventure acitvity to break the monotony of your modern life, you don’t have to travel too far. Just visit the Aravalli Biodiversity Park for a fun-filled, safe adventure.